The Dock Blog Loading Dock Raleigh's official blog for community events, local happenings, and member updates. Each month, we're highlighting our Top 5 favorite events and happenings to explore in Raleigh, NC. Events that cultivate community, innovation and Doing Others Good -- Fall is in the air, enjoy all the Oak City has to offer this October! Join us at Loading Dock Raleigh for A Night of New Beginnings with our friends Addis Jemari! Come learn how they are fighting to end the orphan crisis in Ethiopia by encouraging, educating and empowering orphaned and vulnerable children and their families - and how YOU can help. Register here! Come together for our coast and help those affected by Hurricane Florence by coming to the table with dinner at The Dillon - Guests will experience signature dishes from the Triangle’s most prominent chefs, accompanied by top shelf spirits, enjoy music from BJ Barham of American Aquarium, and have the opportunity to participate in a live auction – all benefiting Hurricane Florence victims. Buy your tickets here! October 7th, 2018 // Mandolin Farm // 13520 Durant Rd. 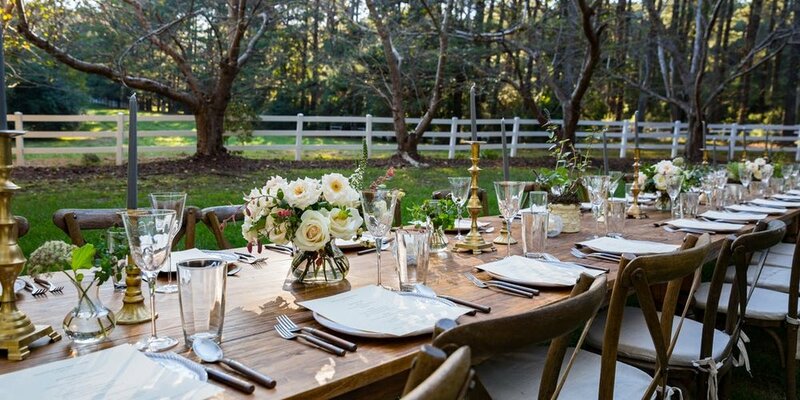 This autumn-themed, family style feast is one that you don’t want to miss. Chef Sean Fowler will take you an a guided tour of the farm, where you can pet our pygmy goats and feed the chickens. Tickets are $150 and include passed hors d'oeuvres, family style meal, wine, and gratuity. Proceeds will go to the Food Bank of Central and Eastern NC to help provide assistance to those who were affected by Hurricane Florence. Get your tickets here! Do you think you might need a small business loan? Do you know how much you need? Join us and our friends at Wake Tech Small Business Center in this jam packed session to learn which local lender(s), might be the best fit for you and important things to consider as you plan for your small business funding. Register here! October 13th, 2018 // 400 W North St. Dynamic Water is a non-profit organization based in North Carolina’s Research Triangle Park, and is dedicated to providing access to clean, safe drinking water to communities in need. Come out and enjoy live music, local beer and local food vendors! Learn more here! We are proud to announce that we have partnered with BREWPUBLIK to provide our members with the best full-service, in-office beer experience possible. From top-notch local taps to national brands that everyone knows and loves, BREWPUBLIK will keep the beer flowing here at Dock 1053. We love that they care as much about our members as we do. BREWPUBLIK will continuously customize and adjust the variety of beer offered based on member preferences to ensure the most favorable selection is always available. With the introduction of this service, members can discover new tastes and enjoy old favorites from the comfort of their own workspace. Beyond always having high-quality beer on tap in the office, they will also provide expert maintenance and cleaning services for all kegerators, beer lines and other equipment. Throughout the partnership, BREWPUBLIK will also be hosting office happy hours and special events with visits from various local craft breweries in order to provide a social atmosphere, networking opportunities and the chance for members to learn more about craft beer and local breweries. We are pumped for this partnership and firmly believe that BREWPUBLIK is creating something worth celebrating. Find out more about our friends here! Each month, we're highlighting our Top 5 favorite events and happenings to explore in Raleigh, NC. Events that cultivate community, innovation and Doing Others Good -- Enjoy all the Oak City has to offer this September! An event for all ages, Reborn Clothing Revolution is a free opportunity for families to bring their old clothing to Pullen Park to be transformed! They will be making several hand-tied t-shirt blankets to be donated to the Women's Center of Wake County, have stations available including natural dyeing and lavender sachets, and be telling you more about their mission and vision. Come out and join Reborn and Compost Now for a day full of fun with the whole family! In honor of Childhood Cancer Awareness Month, join our friends, Flywheel and Headbands of Hope for an exclusive stadium-style interval based cycling class that's perfect for all levels- plus, this one will be DJ'd by Joe Bunn DJ Company! Get tickets here! Join our friends Activate Good and Red Hat Amphitheater for this year's 9/11 Commemoration and Service Event! Join over 300 TED enthusiasts as we celebrate Ideas Worth Spreading that anchor, inspire, and activate. TEDxRaleigh 2018 will profile 8 speakers, 3 performers, and an audience devoted to Ideas Worth Spreading. Get your tickets here! Music lovers rejoice! Raleigh has 3 can't miss Music Festivals ALL in the month of September. Mark your calendars and grab tickets to Hopscotch, Wide Open Bluegrass, and Dreamville Fest. Each month, we're highlighting our Top 5 favorite events and happenings to explore in Raleigh, NC. Events that cultivate community, innovation and Doing Others Good -- Enjoy all the Oak City has to offer this August! The Sir Walter Miler is back! The 2018 event will return to its standard first Friday night spot on August 3rd at the Meredith College Track. The event will feature Elite Men’s and Women’s Mile races, a Run Club Mile and Run Club 4x400 Relays. The Pre and Post Party will once again take place at Raleigh Brewing Company and the Sir Walter Miler - Rise and Run with the Pros will be Saturday morning at 9am at William B. Umstead State Park, followed by the Sir Walter "Extra" Miler at 4pm at Tasty Beverage Company - Raleigh. The Sir Walter Miler is FREE and open to public! This isn’t just a regular food truck rodeo-- it is a food truck rodeo under the stars! 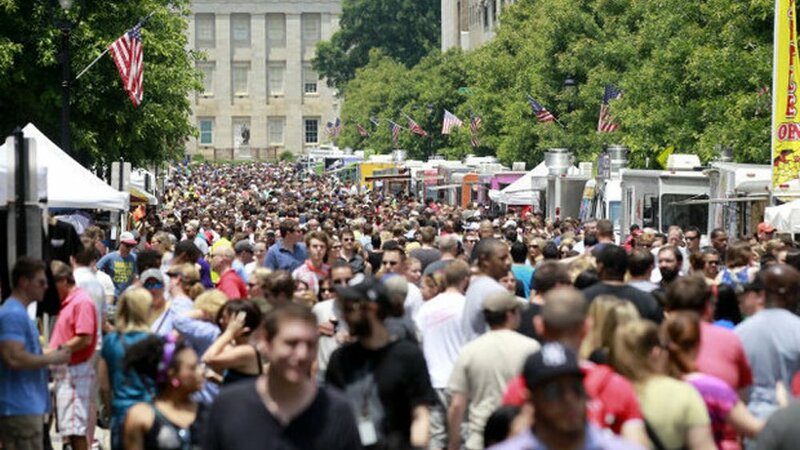 With over 50 food trucks from all across North Carolina, picking which food to try will be the hardest decision you’ve ever made. This August will kick off the Raleigh Night Market series- ending in October (every third Thursday). Raleigh’s most innovative artisans will come together with food and drinks to celebrate and sell their goods. The City Market is the perfect place to enjoy time spent with friends or a loved one! 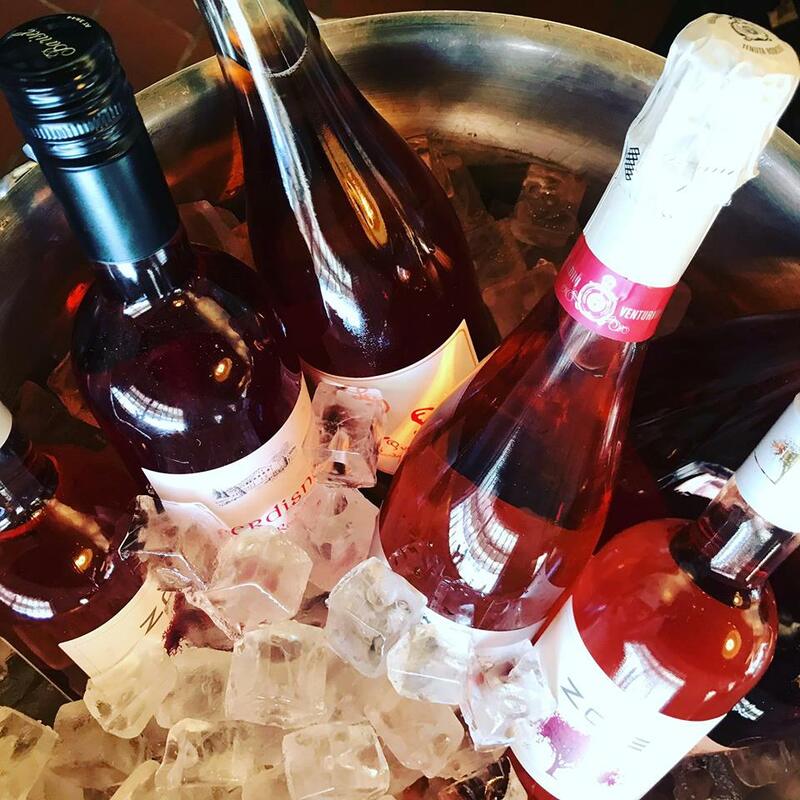 Join our neighbors Hummingbird for Coleen Speaks' 5-course rosé-paired tomato tasting menu on August 8th in their sister event space, Whitaker & Atlantic. Heirloom tomato expert and author Craig LeHoullier will share his extensive knowledge about tomatoes, as well as Bordeaux Fine & Rares own "Johnny Rosato." 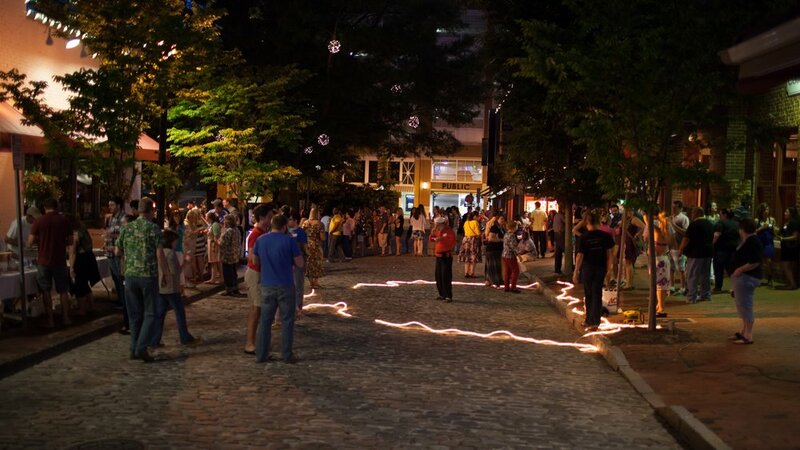 A Hillsborough Street Staple, beloved by NC State Students and more - Packapalooza is back. This festival has it all- from food, music, dancing, rides, art, and so much more. Meet N.C. State athletes or listen to Parmalee under the stars- whatever it is, there's something for everyone. Each month, we're highlighting our Top 5 favorite events and happenings to explore in Raleigh, NC. Events that cultivate community, innovation and Doing Others Good -- Enjoy all the Oak City has to offer this June! Do you love podcasts? Have you ever thought about starting your own? Our friends SkillPop are here to help! 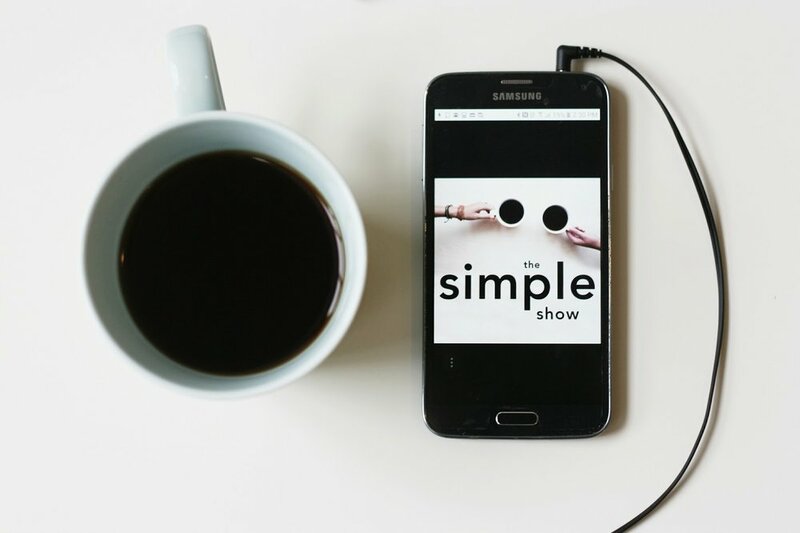 Join local podcast host and marketing strategist, Kristie McCollum, for this interactive workshop as she helps you get your podcast off the ground! You'll learn about recording tools, how to create, edit, and launch your podcast, and they'll even cover growth strategies for your brand, blog, or business. What are you waiting for? Start That podcast Today! Each month, we're highlighting our Top 5 favorite events and happenings to explore in Raleigh, NC. Events that cultivate community, innovation and Doing Others Good -- Enjoy all the Oak City has to offer this May! If you've sipped a cold beer at Lynnwood Brewing recently, you've probably seen the construction happening at the corner of the Dock 1053's parking lot & East Whitaker Mill Rd. We'd like to be the first to introduce you to Wilson's -- Lynnwood Brewing's new restaurant & bar. We caught up with Ted, the owner of Lynnwood Brewing, to get the deets behind Dock 1053's newest addition. An extension of Lynnwood Brewing, Wilson's is lovingly named after Ted's dog. The menu is still being developed and perfected, but its main focus will be delicious flatbread pizzas and crafted sandwiches, with additional rotating items to keep patrons coming back for more. Wilson's plans on serving several house-made sodas & mixers in their craft cocktails with a preference for local and NC products including Dock 1053 neighbors, Pinetop Distillery. While we all loved the food trucks that frequent Lynnwood Brewing, this will serve as a permanent solution with multiple food & drink options. "Wilson’s was created to fill a void in this growing market and to keep our Taproom customers happy," says Ted. "It allows us to integrate the beer garden and outdoor patio into one cohesive space and keep up with the growing demand for our beers." Wilson's hopes to be open sometime in August, definitely by Labor Day. Stay tuned for more info and updates. Welcome to the neighborhood, Wilson's! 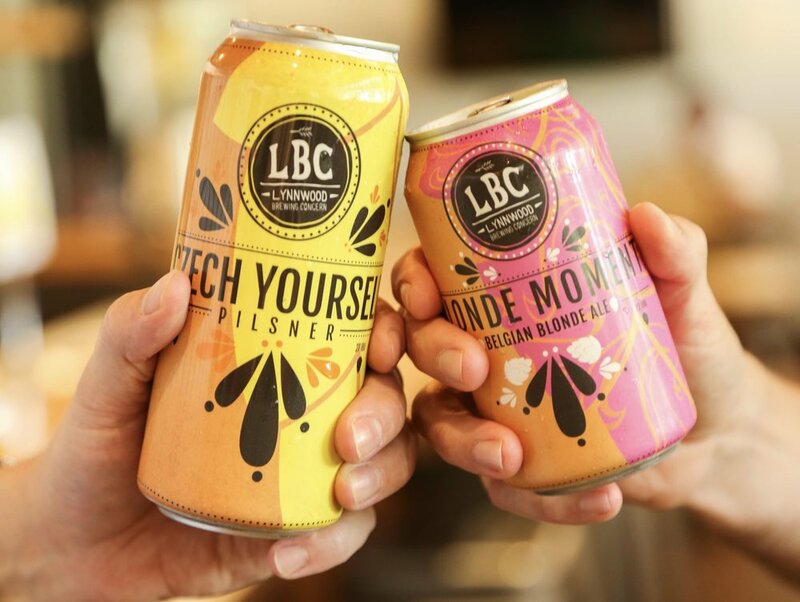 Our members Activate Good are partnering with our Neighbors at Lynnwood Brewing Concern to connect individuals across Raleigh, who are looking to Do Others Good. If you're searching for opportunities to get involved and give back to our community, search no more. Head over to Dock 1053 on April 29th and learn about local nonprofits and the incredible opportunities available for individuals to volunteer and donate! "I love people and other dogs. I love to chase squirrels and cats. I'm faster than a cheetah but slower than most squirrels. I love sunbathing in the backyard. If you rub my belly I will love you for life." Each month, we're highlighting our Top 5 favorite events and happenings to explore in Raleigh, NC. Events that cultivate community, innovation and Doing Others Good -- Enjoy all the Oak City has to offer this March! Meet one of the best wedding and event planners that the Triangle and entire Southeast has to offer, our friend and member Sally Oakley! Sally Oakley Weddings is going on its eighth year of crafting a couples' perfect day and they're not stopping anytime soon. Sally leads a small, passionate team that strives to provide the best service to their clients. We love that Loading Dock Raleigh gets to be a part the process by providing a space for her brides to come, feel welcome, and get excited about their special day! A little over three years ago a group of friends decided to partner together to give Raleigh its own hand-crafted spirit. From there, Pinetop Distillery was born. Although Pinetop is small scale, they pack a big punch. While continuing to work their day jobs, the team has combined their efforts to create hand-crafted spirits that maintain the integrity of the land, celebrate the ingenuity of local farmers, and provide an authentic taste that is true to North Carolina.